Bluff Knoll in WA's Stirling Range National Park 80km north of Albany. The final of our top ten Australian day walks, Bluff Knoll is the highlight of the Stirling Range National Park in South East Western Australia on two feet and a heart beat. As a general rule, Western Australia has hills, not mountains. But you wouldn’t know it when you’re standing beneath the chiselled mass of Bluff Knoll. Armour plated in rock, and with a summit that protrudes like Roger Ramjet’s chin, this craggy mountain is softened only by the wildflower displays that decorate its slopes each spring. From the trailhead, Bluff Knoll’s summit cliffs appear impenetrable but the walking track knows better, nudging its way through a break in the escarpment before U-turning back towards the peak. Views from there stretch across the craggy Stirling Range and south towards the Albany coast. 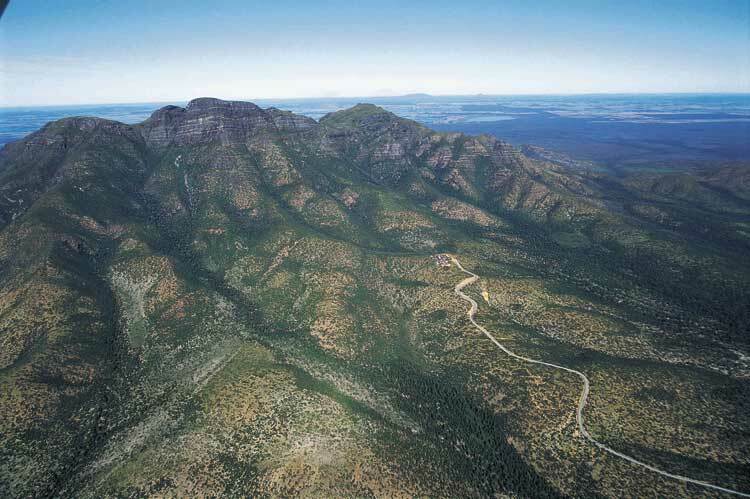 Bluff Knoll is in the Stirling Range National Park, around 400km southeast of Perth and 80km north of Albany. It’s the highest peak in southern WA, with more than 1000 species of wildflowers, including a range of carnivorous sundews – step off the track at your own peril. A springtime visit, when Bluff Knoll erupts in flowers and colour. A steep and unrelenting climb, ascending more than 700m. Pack for alpine conditions – Bluff Knoll is one of the few spots in the state to actually see some snow fall. Australian Traveller Magazines Top 10 Day Walks You Can Do In A Day.